Astrology reflects the ancient maxim 'as above, so below' and is based on the belief that our lives are a reflection of the ever-changing patterns formed by our relationship with the Sun, Moon, planets and stars beyond. 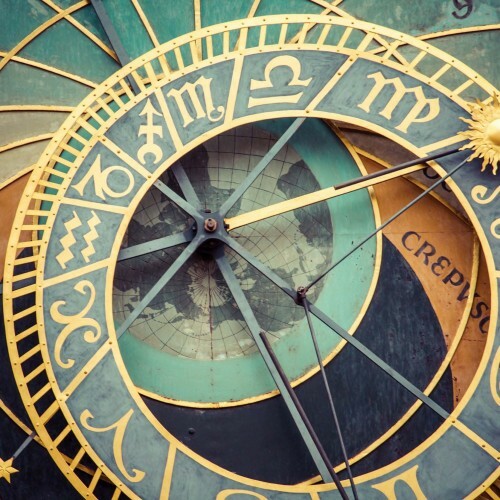 Western astrology has its origins in ancient Greece but developed from the earlier omen traditions of Babylonia, and earlier still from humankind's endless fascination with the night sky and realisation of the importance of the Sun and the seasons to survival. There are many different branches of astrology: a natal astrologer, for example, will cast a horoscope or birth chart for the moment of a person's birth to determine their personality, relationships, ideal career, emotional needs etc. A horoscope is essentially a map of the heavens, showing the positions of not only the Sun (most people know their 'Sun' or 'Star' sign) but also the Moon and the planets, with respect to the twelve Signs of the Zodiac. It can also be used as a way of exploring the past, present and future. Other branches include Synastry, the astrology of relationships, Mundane Astrology, which forecasts world events, and Horary, which is a form of divination akin to Tarot.